Verifying the Nikon SB-900 firmware version is a breeze on my Nikon SB-900. Check. With uninterrupted shooting with the SB-900 set to i-TTL mode, images captured just before the flash ceased firing were sometimes overexposed. This issue has been resolved. By resolving this issue, metering precision has been further increased and the number of times the flash fires has also been increased. 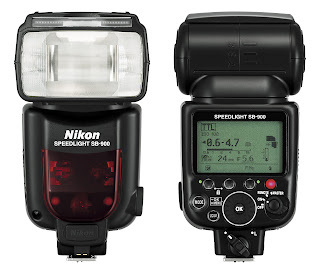 When the SB-900, set to TTL auto flash mode, is used with a camera supporting the Nikon Creative Lighting System (CLS), flash mode automatically changes to A mode according to camera communication status. That flash mode was previously maintained, but it has been modified so that TTL auto flash mode is restored once the SB-900 again recognizes the camera as a CLS-compatible camera. Firmware updated via Nikon D90. Check. Calibrating Nikon D90 and Nikkor Lens - A Need or Want? So the saga continues, and I finally got back all my three lenses with the Nikon D90 today. All lens were calibrated with the body now and the sensor is now spanking clean after a thorough sensor cleaning via liquid solutioning. I am ready to do some serious shoot again after that whole one week of not doing so. This coincidentally matches up with the upcoming public holidays in my country. O yes! As for the front/back focusing discrepancies I encountered, I am specifically told by the Nikon Engineer that I should engage AF-S mode to avoid unintentional recomposition focus error. Manual selection of the 11 AF points are still preferred after all. Hmm...so much for using AF-A all this while. Lens calibration will become a need as the lens wears down and remains more of a want for me at this point of time. I was told that for my case, the re-calibration was but a very small marginal reset. Anyway, better to do this every 6 months, being still within the warranty period. 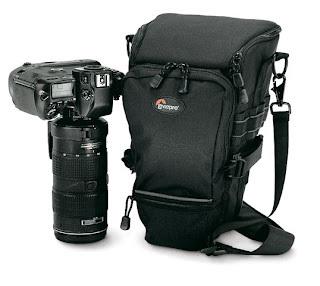 Sure, its only $450 to some but it sure is a lot of money to one who is but an photography enthusiast. So, I jolly well do a bit more research before I dive into the world of flash photography. Here's the good news I found so far - our Nikon D90 is capable of updating the Nikon DB-900 with the latest firmware. Secondly, on say taking a photo with the Nikon D90 with a F/1.8 lens, the AF Assist Illuminator of the Nikon SB-900 can now reach up to 10m! Excellent! And from my latest review of the Nikon SB-900 user manual (you get the hint? ), it matches a typical compact camera user manual in terms of thickness. That's how sophisticated this flash is. It's almost mind-boggling to try to absorb what this flash is capable of doing! Both the above options gives strong vertical depth in helping me understand more of photography and will easily extend the life of this interesting "sport". In the absence of the Nikon D90, I have accelerated my effort to look for a smaller companion camera but to no avail. I simply could not come to the agreement that it will be a compromise in terms of image quality and customized shooting freedom. Several prosumer compacts were scrutinized, including the Canon G10, Sigma DP2, Ricoh GR2 etc. but somewhat all could not come close to what I am already quite used to from my Nikon D90. I have even decided to take the remaining half day off today just to make sure I did not miss out any other review options. This is insane! I think so too...but again, this is quite fun! BTW, our clients pay us by the result we deliver and not the hours we squat at their office. So, theoretically, we can be anywhere at anytime so long I can manage my team performance and morale! After all that exercise today, I am back to the Nikon D90 and has concluded that I should expedite on the return of my camera instead of hunting around for sub-standard prosumer compacts to complement my camera! Its a type of mental torture, to wait forever for your camera to complete her servicing. Today, my call into Nikon Service Center confirmed my ticket has moved, and that an Engineer has perform an inspection (not done anything yet) on it. I was also told inspection usually take 3 working days while calibration can take up to 10! In my last family dinner appointment, I have to make do with my aged Canon G2 as a last-minute decision. All my other cameras were not properly charged. Well, the feeling of reshooting with my compacts sure is weird. 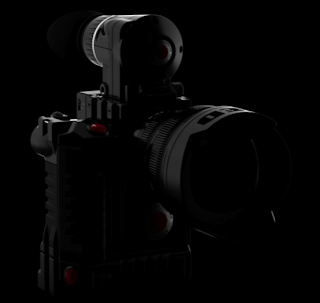 The artificial shutter release sound and miniaturized viewfinder all add to my unease. It was set on an Aperture priority F/2 mode but I could not verify any of my work on-the-spot. Anyway, since it's on a CF card format, I have yet to find my USB CF card reader to check on it. It was indeed a terrible feeling. 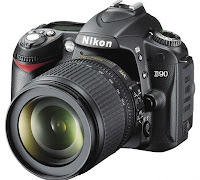 Drum roll please...and the best digital SLR advanced award goes to...the Nikon D90! It's indeed an honor to obtain this greatly coveted TIPA award 2009. 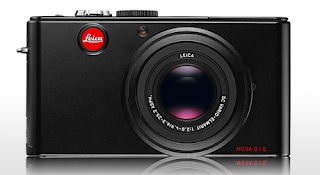 As all of us know, Panasonic has been the OEM of Leica Camera for many years, and with that relationship, almost always introduce a similar cheaper equivalent to the Leica principle. 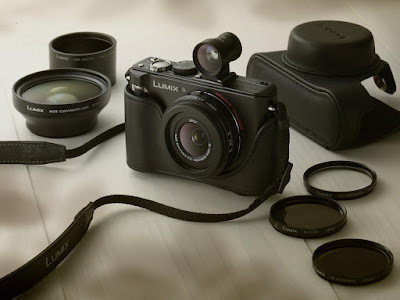 One such machine worth my mention is the Panasonic LX III compact camera system. Performance wise, it's F/2 aperture brings in more light than her step-sibling D-Lux 4. Video recording has also been bumped up to HD. And the list goes on and on, all on a $400 bundle price. Just look at the system approach of this camera and drool over the classy vintage fusion of new and old technologies. To my recollection, this was the first choice to upgrade from my Contax T3 some 6 months back...before I entered the DSLR arena. 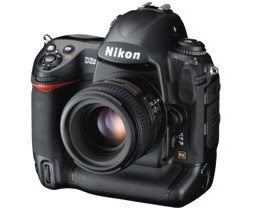 With the recent local camera fair in my neighborhood, the Nikon D40 is up for grab as it reaches her EOL status. I was also able to play with the Nikon D60 and Nikon P6000 today, while checking out the new Nikon P90 that boast a 640mm focal reach! But on one used camera counter, my eyes found it fixed on a couple of mint-condition Leica D-Lux III compacts priced at only $380! Hey Leica sharpness are legendary especially those that are affixed to Leica bodies. Man, that's a bargain, after confirming that its a genuine article. I call this a paradigm shift in the consulting field but you could well be looking at the future of photography. Do pardon me as I am still baffled by what this product actually is; a video camera or a camera or both. Critics bowed down to their product range, ingenuity and sense of humility from this more advanced form of image capturing. It kinda remind me of the NERF gun I bought for the boys - fully modular modules configurable in a lego format to adapt to your shooting needs. Having spend so much time with the Nikon D90 in my car, trips and all, having not to shoot anything for the next 2 weeks (as its being serviced in the Nikon Service Center) is causing a small unease of inability to take those pictures with my family and friends. It's kinda tough but I have, in the absence of the Nikon D90, been doing some "soul searching" for a companion DSLR that can fill in the gap. 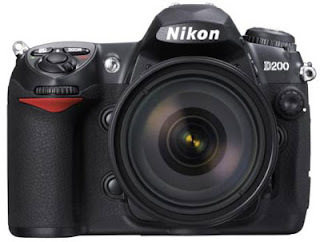 The price of the Nikon D200 has been dropping steadily, with official announcement made in discontinuing the Nikon D40. Hmm...there is just that many parameters to consider before moving forward with your hard-earned cash. I am sure in your review of Nikkor lenses, you would have come across some lens models that allows shooter to tilt their angle of approach while adding a fabric of flair and special effect to their images. Its just fascinating how photography has evolved. Meanwhile, [here's] more of that sort of images for your pleasure viewing. Official - Nikon Overtaken Canon in Market Share in 2008! Nikon has announced that it is now the UK's leading manufacturer of DSLRs. Speaking at the UK launch of the company's flagship D3X camera, the company boasted of a prosperous year, which has seen Nikon's DSLR sales growth expand by 333 per cent, compared 2004/05 figures. The official announcement is that Nikon is "number one for share by volume in the UK, Europe, USA and Japan on 1st December 2008." The impressive figure of 333 per cent is mainly due to Nikon in recent years getting aggressive in the DSLR market, making sure that everyone from first-time DSLR buyers to high-end professionals have the option to buy a Nikon-branded camera. 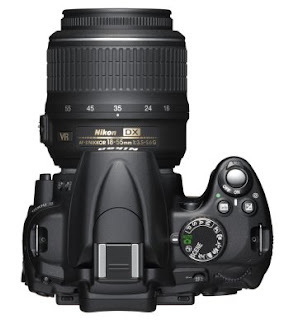 This includes the recently launched Nikon D3X. See how these three National Geographic photographers shot their subjects and see the new Nikon D90™ in 360. Check it out [here]. Nikon Vision Co., Ltd., a subsidiary of Nikon Corporation, is pleased to introduce the EDG Fieldscope series, a new Nikon Sport Optics brand. EDG is pronounced “edge” because the series provides edge-to-edge brilliance and overall leading-edge performance. The optical and mechanical results of the current fieldscope series, which has won plaudits from users around the world, have been enhanced for the new EDG series. 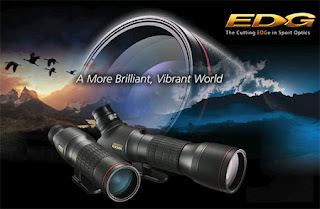 The outstanding performance of EDG Fieldscopes, including natural color reproduction and crisp clarity, has been achieved through the use of Extra-low Dispersion (ED) glass. The straight-type models also feature dielectric high-reflective multilayer prism coating. Both the main bodies and eyepieces of the EDG Fieldscopes are waterproofed with O-ring seals and nitrogen gas, allowing EDG Fieldscopes to be used in adverse weather conditions. Seven kinds of eyepiece are available, providing unparalleled performance in differing environments. The newly developed zoom eyepiece in particular offers superb optical performance with minimized distortion and long eye relief (18.4-16.5mm). So you are running out of sites to shoot? Or decides to skip your next vacation destinations due to budget constrain? Then, I would suggest to go macro (or micro as Nikon would call it), into the world of details. I have been considering the notion of going micro for a while now and is currently evaluating the pros and cons of the Nikkor 60mm F/2.8D and Nikkor 60mm F/2.8 AF-S lenses. Both are brilliant lenses but are priced quite differently. 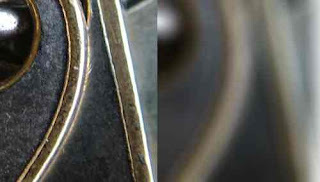 Some say the older lens is built with less distortion, while others claimed that the new nano coat can turn the tide of the macro war. I have not reached a conclusive summary yet but it sure ain't far away. The AF-D model is sold for about $350 while the AF-S at $550. 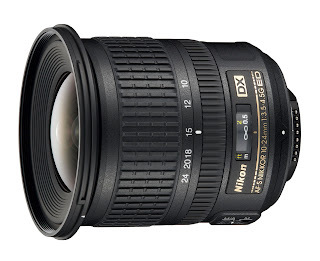 Nikon UK is pleased to announce the introduction of the AF-S DX NIKKOR 10-24MM F/3.5-4.5G ED lens, a NIKKOR DX-format ultra-wide-angle zoom lens that boasts a focal range starting at 15mm equivalent in FX/35mm format. At a very affordable price, this new lens offers a superior build quality making it a great addition to anyone’s Nikon system. It is perfect for users wanting to shoot scenes that require a wide angle perspective effect such as in a small room, or for shooting architecture and landscapes. 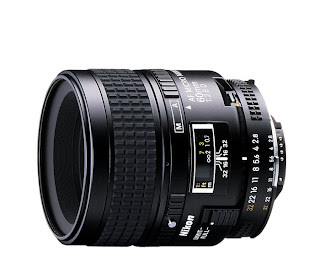 Now that I have all the range I need from 18mm to 300mm, a wide-angle lens will complete my shooting range? Once in a while, its good to know if you want to shoot with the result of the pros, you jolly well use what they use....for a start. Composition skills, experience and ability to improvise and assess scene aside, at least you know you are getting there with the right lens. The story seems to go on forever. Nikon has practically integrated every optical equipment with their DSLR I came across so far, namely fieldscope, lenses and now microscope! Capturing bacteria growth and images has never been easier now...pending the availability of $1600 in your bank account that is. 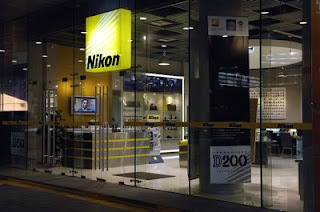 So I went and so I deposited all my three lenses and body to the Nikon Service Center yesterday. As I believe there be minor adjustments required on the body for front/back focusing calibration errors (as seen on my Nikon ViewNX), I have decided to leave my whole camera kit with Nikon. I was also told this routine servicing can take as long as 2 weeks! Along the way, I have also requested for a thorough sensor cleaning via liquid solution and I think you should too every six months. As for the lenses, they are only covered by a one year international warranty no matter where you bought them, as opposed to some 4 to 5 years you get in the States. To expedite the servicing interval, I was also told to present shots that exemplify those front/back focus errors I claimed, to the Nikon Engineers. No problem there too. Do visit them if not done so. Yes, I know its overdue and I just manage to find some lunch minutes to do so. So, do bear with me as I improve on the friendliness of this blog! UPDATED - All articles categorized! Hope this will give everyone easier access to the blog articles. Enjoy! Photo of the Day - Hell Needs No Tripod! Its good biceps training to shoot with a 35-pounder lens! Each lens is designed to varies in convergence point onto the sensor and the Canon Top-notch 1D Mark III even has a built-in function to correct and register them! Now, that brings me to question how the Nikon D90 accomodates such discrepancy. Let me send my camera in to check this out soon. First Nikon D90 Bug Detected! 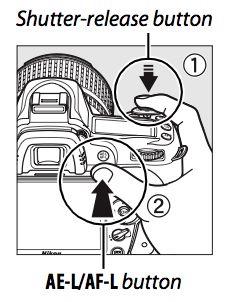 Upon activating the LV mode of the Nikon D90, the indicated Shutter speed will cease to automatically update its value to indicate the changed settings on the camera. "In LV mode the shutter speed is frozen at the value taken at the moment of activation. It doesn't change where ever you point the camera. However, it does meter correctly, but this new value is not seen after you shoot. This also applies for the top level LCD and it doesn't work with Camera Control Pro either. Nikon support has confirmed this bug." Price Increase of the Nikon D90 Soon? With the rising strength of the Japanese Yen, we will also see a gradual price increase of the Nikon D90 by about 10% next month. Hmm...sounds good to me that my camera is appreciating in value for now. For those outside the Nikon D90 camp, perhaps its a opportune time to jump on the D90 wagon? On the first pass, at simply $400, you get the whole nine yards with the Nikon D40 body and a Nikkor 18-55mm lens! Wow! That sounds like a deal cheaper than a Canon G10 prosumer compact. In fact, its cheaper than a Nikon Speedlight SB-900! 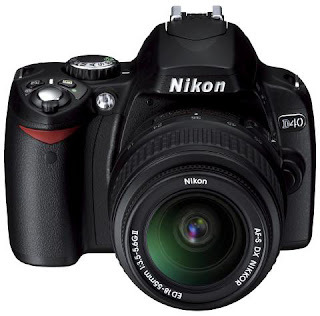 Sure, you might want to tone down your expectation on the Nikon D40 against her bigger sibling, but the numerous web reviews I have seen have shown positive results with this baby. Well, as fluid as water is, I am quickly resisting a Canon G10 versus Nikon D40 face-off! Mind you, the Nikon D40 readily accepts all my lens and it takes on an SD memory card format too. Now, the definition of backup is quite fluid too. Sometimes, the opportunity demands an immediate use of a longer focal length. What do you do? Whip out the Nikon D40 with the premounted lens and fire away! That's what. Just make sure RAW is used for salvageable post processing later. What Was Removed from Nikon D90 to Give Nikon D5000? Out of curiosity, I have been starting my search for a cost-effective backup recently to go with my Nikon D90. I suggested a used Nikon D200 at around $600 a few weeks back, and have totally dismissed the fact I can properly get myself a Canon G10 or Nikon P6000 for that price range. But with the recent price drop for the Nikon D40, could this mean a change of heart or should I check out the Nikon D5000 at $750 (body only)? 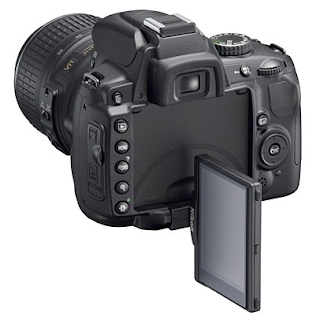 Essentially, Nikon has removed the VGA LCD screen, wireless flash commander mode, vertical grip compatibility, lower shoot battery capacity and cheaper body construction from the Nikon D90 to give you the Nikon D5000. But at that price point, its not decisively positioned. In all, I don't shoot to earn my daily bread, so its not entirely that important if the Nikon D90 should fail on my next overseas trip. I consider this - Good to have. 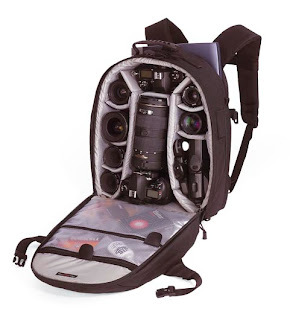 Sure it's just a $120 bag and comes with over 10 separate internal compartment pads to house up to two DSLRs and 4-6 lenses. But I am most pleased today that it fit my Manfrotto 190XB like a glove too! Thankfully, I did not gave in when the tripod sales person wanted me to take a separate strap for the tripod for over $30 previously! In my short photo shoot today, I, however, found that this bag is not designed for fast removal and swapping of DSLR and lenses on-the-go. And the two side fastener straps (of the bag) have to be unbuckered to access the main compartment. Well, I guess the need for such swap is minimal and considering the fact it comes with a retractable rain cover, it's high on the practical side of design. In fact, this bag also comes with a separate compartment that allows you to stuff even a small netbook into it without much trouble. My mini Fujitsu P7120D laptop fits in just fine in that compartment! I conclude this is a mandatory investment to prevent my three lenses from "tumbling" in my current Targus backup. Ever wonder why your camera fail to focus tact sharp on your intended subjects at times? Screwed up contrast management in AF module due to insufficient light. Here's when your AF illuminator fires up. Right, its only up to 3m in range. So, don't go away thinking this wonder light to reach anything beyond that! One more surprise I found - remove the lens hood to use it effectively on any lens with a 24-200mm focal length! Gotcha! I was surprised too. See page 55 of your manual. Want a break from this limit? 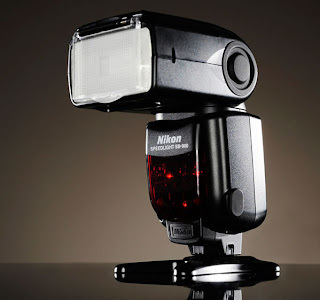 Get the Nikon SB-900 to throw the AF capability further via its built-in AF-Assist Illuminator! Can you believe it? Running on two Energizer AA batteries, my Nikon flash finally stopped flashing after 5 months of on/off usage. Remember that I bought my Speedlight almost together with my Nikon D90. Shot count on my camera currently read 5350. So, here's my mini verdict. I hardly use my flash, however hard I tried in my daily routine. I was quite determined to get the Nikon SB-900 lately but concluded that I would grossly under utilize it as well. A big gap can exist between recommendation made via casual web browsing against actual field testing. And I usually would not recommend something I don't own on my blog. The same applies to the camera bag I have just purchased yesterday. In my last article where the Lowe Pro Flipside/Top Load AW were evaluated, they all looked rosy on the Internet. So, finishing my work on a Friday evening, I decided to pay my local camera store a visit. What do yer know? I have totally understated the capability of the intended camera bag to house my Manfrotto 190XB tripod! Gradually, browsing turned into a serious hunt among the 50 or so Lowe Pro models on the shelves, and I ended up getting the Mini Trekker AW. What Have We Here? $850 Nikon D5000? So, it's out? Hold your breath, and confirm it at tomorrow's Nikon Press Event in Australia! Nikon D90: Welcome, little brother, to the family! Ikelite Underwater Mount for Nikon D90 on Steroid! 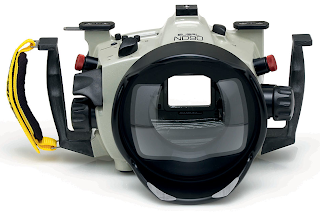 Remember that $1500 underwater housing for the Nikon D90 article I reviewed sometime back? OK, a new bad boy is in town to claim its territory and that's the $3700 Subnal ND90. Underwater photography is yet another whole new dimension in photography and I think its a bit too "professional" for my taking. But if this is where you want to go, click [here] to begin the journey. You can say I love those buttons on the Nikon D90 (which provides better tactile feel to those on the D700) and I push them harder than most around me with a Nikon D90. But there are just that few more buttons I recently discovered I seldom use. OK. Say you are at a restaurant and you would like the waiter to help take a shot. You pass him the camera, he aims carelessly on a chair located before your main subjects. He took the shot, only to be discovered by you that it was a bad shot. Sounds familiar to you? In the days of using my Contax T3 (it still shoot crisp, perfect images today), there is a wonderful feature in it to shoot at fixed focal distance (2m, 5m etc). However you compose your shot, all your subjects at that prefixed range turned out razor sharp and well exposed. I think these AE-L/AF-L button is supposed to do just that, just in a slightly fancier terminology. So, I personally think that the AE-L/AF-L feature is useful only to me in the above situation. The FV lock feature is much more useful to me, programmed on this button. It's very limited but that's all Google's got. In a new season of Spring, I thought a dash of sea blue will do all our eyes good. Fine black lines begin to appear on my viewfinder today as I switched my Nikon D90 on to shoot. Perhaps, they have been there all along...I am not very sure. They are not those lines you turned on via menu D2 - Viewfinder grid display but very fine horizontal/vertical black lines interconnecting the focus brackets at the center of the viewfinder. I will be paying the Nikon Service Center today to find out if it can be rectified during lunch hour. UPDATED - According to the Nikon D90 manual - page 9, this situation is classified normal. Don't panic. With this fairly new discovery, its time to apply it with regard to obtaining better focus on our subjects. Looking back at instances via Nikon View NX, I can now confirm that those fuzzy shots all have low-contrast points selected! No wonder the Nikon D90 could not really make out a sharp focus. So, here you are, the baby discovery in focusing technique I found today. OK. I am off for a short hike with my boys now...to do more shots along the sea coast. Well, I think its time. Time to get more critical with my own work and start dishing the commonly composed shots out of the almost-full picture gallery. Just a recap, if you can truthfully claim that 5% of your total shots are similar to those found in Flickr, I think you are there! You have just turned pro. I know I am well behind that. So, hence the need to still post to Picasa and not something more professional like Smugshot. Now, if you, for a moment, has so much as an ounce of doubt with your Nikon D90 focus engine integrity, I would first advice you to read up this guy's two-cent worth of explanation (I think its much more than that) and perform the simple test yourself [here]. If not, just send it in and the Nikon technician will confirm this with their set of tools. Tim Jackson sure shed some light with regard to this problem I sometimes face with the Nikon D90. I guess this problem has prompted some perfectionists among us to upgrade to the Nikon D700 or D3/X! But at least, let me finish the explanation as I attempt also to bring some solutions to the table. What if the autofocus for one reason or another isn’t working? Then there are a couple of tricks you can resort to. Get a coffee...this is a good read. 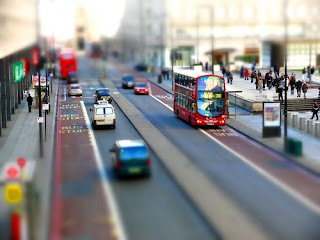 If a camera knows the distance to a subject, it is easy to focus. But the camera does not know this; in practice, it has to guess the distance. All cameras attempt to find a focus distance with the help of the function autofocus (or AF). This is done quite automatically, typically when the release is pressed halfway down. 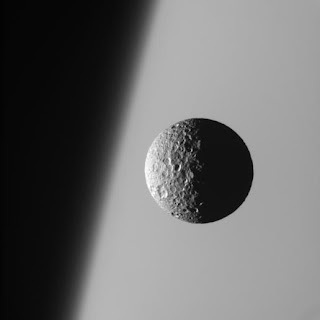 The camera’s electronics tries to identify the main subject and the distance to it, so that it can focus. There is a little motor in the lens, which can move the optics, so that the focus is altered. Contrast is bigger, when the image is focused. Autofocus examines the image to find the area, which has the largest contrast. The focusing itself is done with the help of contrast measurement of the light, which comes through the lenses. The image sensor measures the contrast in selected areas of the image’s pixels. The area, which contains the biggest contrasts, is identified as the focus area. Then the lenses are just moved back and forth until there is maximum contrast in the area in question. When the contrast is at a maximum, the camera assumes that it is focused on the main subject. The contrast is examined in the points and the lens is set to focus on the point, which has the biggest contrast. This point is often accentuated in the viewer or on the LCD screen. There are two problems with autofocus: If there isn’t enough light for taking an exposure, then the system doesn’t work; there has to be light for measuring the contrast. The other problem is that the autofocus has to find the distance to the right subject. This isn’t always easy. When the release has been pressed halfway down, the AF system measures the contrast in the points. The point that has the biggest contrast, is assumed to be the subject, and is, therefore, focused on. The active focus point is often lit up with green or marked in another way, when the camera has decided where it should focus. There might also be a little bleep in the camera’s loudspeaker indicating that the focus point has been found. Frankly, I have not taken my boys out more than once a month before I acquire the camera, and at hind sight, this thing has been a strong catalyst for me to exercise while I bond with my boys. At times, I have to backpack them for miles into the trail that they can pose for me when needed. I have also found myself becoming a teacher, sharing with them the whats and whys of each road trip. To date, I have spent about $2000 in this hobby but its all worth it considering the above advantages it brings! Its priceless to see the joy in their faces when I take them to places I dreamt of as a boy to visit. The above Lego truck was built together with my boys before a momento shot was taken. At 70mm, some believe this cheap lens is quite suitable for taking people portraits. And that's what I did recently with my son. Do note its again taken on a bright and sunny day where this lens can really churn out surprisingly sharp photos. To add to the drama, I've decided to reflect the sweat beats pouring down his whole face with the built-in fill flash. Its quite amazing how funny sometimes they can overpost for daddy. I am quite sure these monkeys have been taking posing lessons here and they presented me a wonderful opportunity to take them down with my Nikkor 70-300mm G lens yesterday. As you can see, its shot handheld with a 8mm center-weighted focus area set on the Nikon D90. It can definitely be better if a tripod is available for added stability. Sometimes, a tip I have been using with this lens is to initiate a refocus on the subject to ensure the camera is focusing on where I want it to. Well, the 11 AF points on the Nikon D90 is not exactly encompassing the whole image hence the chances for less accurate results. Setting my shutter speed to a minimal 1/80 second (to minimize vibration), the camera gingerly pushed the ISO to 560. Technically, each white pixel has been adulterated with slight chromatic aberration here. 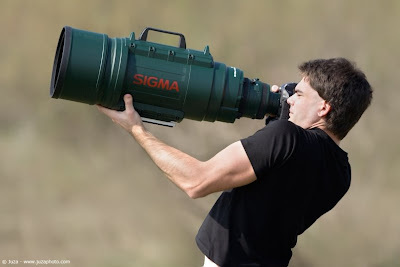 Well, its but a $150 lens! I am very pleased with the overall result nevertheless. Never was I more surprised when Digital Review pitched the newly launched Canon T1i (500D) against the Nikon D90 and declared the Nikon D90 a winner! Vignetting Control or peripheral illumination (described by Canon) is a phenomenon of a gradual fall-off of light reaching the sensor caused by a typical converged lens design, hence resulting in a slightly darkened edge impression on the final image that was taken. 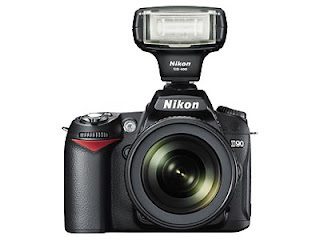 As far as the Nikon D90 is concerned, it is claimed by many that it has a built-in vignetting control feature but not explicitly stated clearly in the official Nikon web site. Pictures taken so far with my Nikon D90 has proven to be vignette-free to my naked eye. But fret not if otherwise as software like Nikon Capture NX can perform similar correction via some complicated software algorithm. Chromatic aberration is but the imperfect single point of light spectrum convergence caused by the different refractive index of the lens to each light ray spectrum spreading from Red to Blue light waves entering the camera. 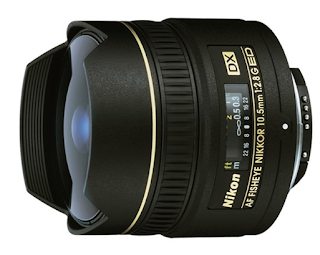 More advanced Nikkor lens feature Aspherical lens technology that greatly minimizes this problem, resulting in sharper precise placement of light spectrum on each pixel point of the image taken. Again, several credible web sites claimed its built-in in the Nikon D90 and provides a detailed comparison to prove it. 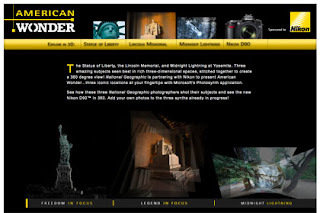 I could not find these information on the Nikon web site too. Care to Play a Nikon Flash Game? At the rate Nikon is rolling out new micro-sites, I am finding quite hard to catch up with all. Here's a first - a mini game that unravels the history of Nikon! I have always wonder what philosophy drives the creation of the Nikon D90 DSLR and boy was I rewarded with my diligent search! Click [here] to access it. If you ask me, how much do I need to cough out to see a sample of Nikkor's best quality lens with Nano Coating, then I will say for around $550, you will be able to do so with the Nikkor's 60mm F/2.8 Micro lens. Sharpness wise, its one of the sharpest Nikon can deliver in their mighty arsenel of optics technologies. Price wise, its quite within reach to an average Joe like me. Usage perspective wise, it would be rather similar to like using your 50mm F/1.X lens. Macro capability is an added advantage with a 1:1 reproduction ratio. Sweet. ED lens components, Nano coats with VR and fast silent focusing engine makes this glass a worthwhile investment. Did I mention its FX camera compatible too? Half-Time! Start Enjoying Your Shoot! Now that I have a 18-105mm VR kit lens for general photography, a 50mm lens for low-light/portrait and a 70-300mm for bright-lit sports, wildlife and portraits, its now time to focus in squeezing out some decent shots from these three lens I possess. Sometimes, being too involved in the technicalities, I can side-track into a capability acquisition spree. Just buy, and buy and more buy, forgetting the whole purpose of photography altogether. Does that happen to you too? As now I can fully understand, it takes a certain degree of control and focus to stay balanced. So, for the next few months, I will begin my destination travel again, thinking it be the best way to excite my spirit of exploration and photography. Until I reach 20,000 shots with my Nikon D90 and the 3 lenses, I will then reconsider the need to expand the capability department of my optics! Its such a shame for most of the folks I knew who is shooting less than 500 images per month to keep upgrading their gears prematurely. 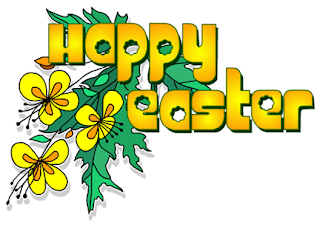 Enjoy your day and may it be a special one in 2009! My last review to carry our camera and laptop ended up with the Targus model, where both the rain cover and ample space stole the whole show away. But for those of us who is beginning to pile up their lens asset list, a more organized approach has to be reviewed. 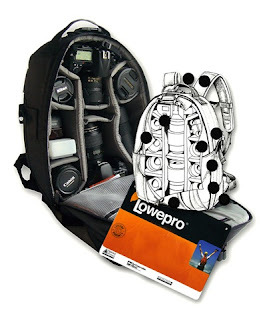 Lowe Pro has been making such bags since I knew about photography and has a series that is coined - Flipside that appeals to do the job economically. With the ability to house 3-4 lens, flash and a tripod, the Flipside 200 may well be the choice for me. Nevertheless, with the Blackrapid strap in use, and my North Face Bullhead hydrator pack, I am truly running out of backs to carry it. Hence, the Lowe Pro Top Load AW is my final choice. With an All-weather cover and the ability to carry one to two additional lens, I can easily strap in on my waist without wearing me down with my usual day-hike or trek. At the current limitation of technology, the law of diminishing return will be in set in on non full frame-sized sensors at about 15 MP. And if you ask me, is pretty much today. 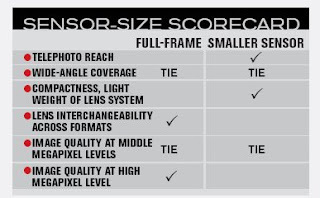 But what exactly does full-frame sensors offer besides significantly more expensive glass and body? As far as I am aware of, one advantage - superior images at higher mega-pixel level. All in all, the APS-C cameras and lenses in the Canon, Nikon, and Sony systems can provide comparable imaging quality at less cost and almost always reduced size and weight. But if you require extremely high-resolution images, if you make really big enlargements, or if you want great leeway in cropping deep into an image, you’ll want a high-megapixel full-frame DSLR. If you find the Sigma lens brochure scanty and obscure, you are not alone. 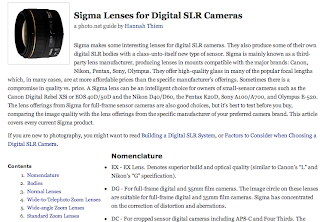 For an informative, interactive site page offering a fairly complete list of lens with sample images, point your pointer [here] to start. None of the numerous lens in the market are developed for one particular camera model and there will be a transition time to get accustomed to. In short, you learn to accommodate the lens you bought with your Nikon D90 body and not expect it to work out-of-the-box. They usually don't. I discovered that fact while shooting with both the Nikkor 50mm F/1.8D and 70-300mm G lens. They are kinda developed to perform only within a fixed boundary. While reading about the Nikon D700, it also specifically indicate a built-in database capable of storing up to 40 lens characteristics. 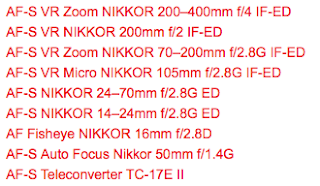 This, in fact, is causing me to wonder how each lens characteristics are recognized and exploited on the Nikon D90? 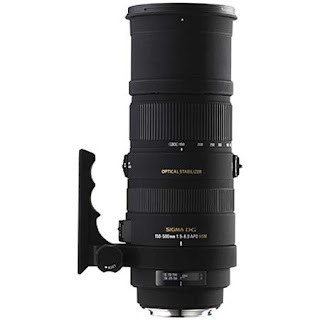 Having looked real hard to find the most cost-effective 500mm lens, an ultra-telephoto zoom lens covering a telephoto range up to 500mm, incorporating Sigma’s original OS (Optical Stabilizer) function has been identified - APO 150-500mm F5-6.3 DG OS HSM. This ultra-telephoto zoom lens covers a telephoto range up to 500mm and allows photographers to bring the subject close and short perspective. Sigma’s original OS (Optical Stabilizer) function offers the use of shutter speeds approximately 4 stops slower. 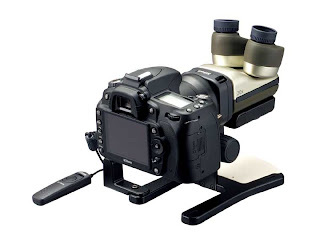 It is ideal for sports, wildlife and landscape photography with handheld shooting. Three SLD (Special Low Dispersion) glass elements provide excellent correction for chromatic aberration. 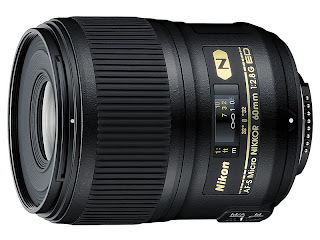 This lens is equipped with a rear focus system that minimizes fluctuation of aberration caused by focusing. The super multi-layer lens coating reduces flare and ghosting. High image quality is assured throughout the entire zoom range. This lens incorporates HSM (Hyper Sonic Motor), which ensures a quiet and high-speed AF as well as full-time manual focusing capability. The addition of the (optional) 1.4x EX DG APO or 2x EX DG APO Tele Converters produce a 210-700mm F7-9 MF ultra-telephoto zoom lens or a 300-1000mm F10-13 MF ultra-telephoto zoom lens respectively. A removable tripod socket (TS-31) is included as a standard component. And with tons of accustoming to, you may just be in the position to begin exploiting its $900 worth of potential resembling [this]! Merely reviewing, surfing the web to know more about photography is like reading a book to learning to swim. It just won't do. If you have friends who are in the thick of it, why not volunteer yourself to help him or her during his next commercial shoot? Don't charge anything as its more of a training for you and you should be more than welcome. Remember, ask questions and more questions. And you are on your way to improve outside of a classroom. Speaking of which, that's exactly what I will do in the coming weeks. 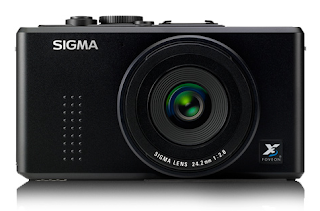 Sigma DP2 Prosumer Compacts - A Worthy Backup Camera? Just when you are pretty much bored with the performance of today's prosumer compacts, Sigma decided to launch the DP2 quietly on her web site, almost throwing my balance off quite a bit today. Its an almost total revamp of the DP1, while boosting everything technical by several notches. I have not seen any decent reviews online yet but the sample photos look fabulous! A worthy backup camera if the price is not more than the Nikon D200 body or if you want some freedom from SLR chunkiness and weight. To get the sharpest images, you’ll almost always want to stop down one or two f-stops from the widest available aperture your lens provides. That is, an f2.8 lens often produces its best results at f5.6. Unfortunately, with action photography, a high shutter speed is often desirable, so you’ll find yourself shooting wide open more than you’d like. In that case, the maximum aperture of your lens can be important when shooting action in low-light situations. A “slow” lens can limit the maximum shutter speed you can use, thus affecting your ability to freeze action. For example, if your lens opens no wider than f8 (a common limitation for longer lenses and zoom settings), the best you can do with your camera set to ISO 100 in full daylight is 1/500th second at F8. The Nikon D90 has a 1/1,000th or briefer setting, but you can’t use it without increasing the ISO setting to 200 or higher, thus increasing your chances of detail-robbing noise in your photos. If daylight is waning or you’re shooting indoors, an f8 lens may limit you to sluggish 1/250th or 1/125th second speeds. So, a larger maximum aperture is better, assuming that the lens performs well wide open; an optic that is a bit fuzzy at its maximum aperture is no bargain. 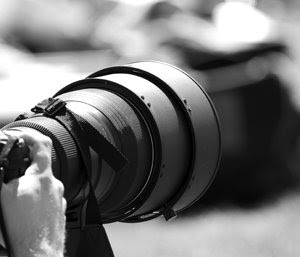 Keep in mind that the maximum opening of some zoom lenses varies, depending on the focal length setting. That is, a lens that rates an f4.5 aperture at the 28mm setting may provide only the equivalent of f6.3 or slower when zoomed all the way to the telephoto position. Here's what many professionals I came across recommended - Giotto Rocket Air Blower! At $15, its worth the convenience of making that trip to the Nikon Service Center cleaning up your optical investment. How About Nikon D200 As A Backup Camera? While looking at the fairly expensive yet under-performing Prosumer compacts, an idea just came to me today. How about getting an older (but brand new) Nikon DSLR at a bargain? Now, I don't mean the Nikon D60 or D40 but the Nikon D200. Sure it's an old horse but a decent one at $600 from Amazon. And with its 1005-pixel RGB sensor and weather-sealing, it may possibly go where the Nikon D90 may have trouble getting. One of my dear friend has recently joined the fray of photography (seeing my passion for photography spreading!) with a used Nikon D200, and he simply enjoys shooting with it. Sure it's heavier but it also boasts a high-speed 1/8000 second shutter speed and a direct heritage from the award-winning Nikon D2X. 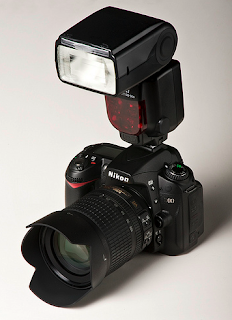 To sweeten the proposition, both Nikon D90 and D200 uses the same battery, lenses and even Speedlight. How's that for all you who were thinking of getting the Canon G10, Nikon P6000? I have for the last one month, been finding myself using either the built-in flash or Nikon Speedlight SB-400 more and more often in broad daylight. It does help bring down the ISO of my shot in less ideal condition, while not casting a harsh flood of white light on my subjects due to its i-TTL logic. In attempting to shoot beyond a certain distance say at 200-300mm range, I found insufficient light reaching my subjects with the above hardware. Say for example, the SB-900 has the following guide number: 34/111.5 (ISO 100, m/ft), 48/157.5 (ISO 200, m/ft) while my SB-400: 30m/98.4ft. (ISO 200, m/ft at 18mm zoom-head position, 20 degrees C/68 degrees F). By its Guide Number, assigned to almost all built-in and shoe-mount flashes and listed—in feet, meters. The GN tells you how far your flash will carry at a given aperture or what aperture to set for a given distance. Just divide the GN by either distance or f-number. For example, if a flash has a GN of 80 in feet (at ISO 100), it can reach up to 20 feet with a lens set to f/4 (80÷4=20). If you want to shoot at 40 feet at the same ISO, you’d have to open your lens to f/2. Applying the above formula with my cheap Nikkor 70-300m at 300mm (F/5.6), my SB-400 can only effectively reach a maximum distance of about 18m at ISO 200, while the Nikon D90 built-in, at 10m. You are pretty much on your own beyond that. Using a $420 Nikon Speedlight SB-900 will allow me now to cover as far as 28m.